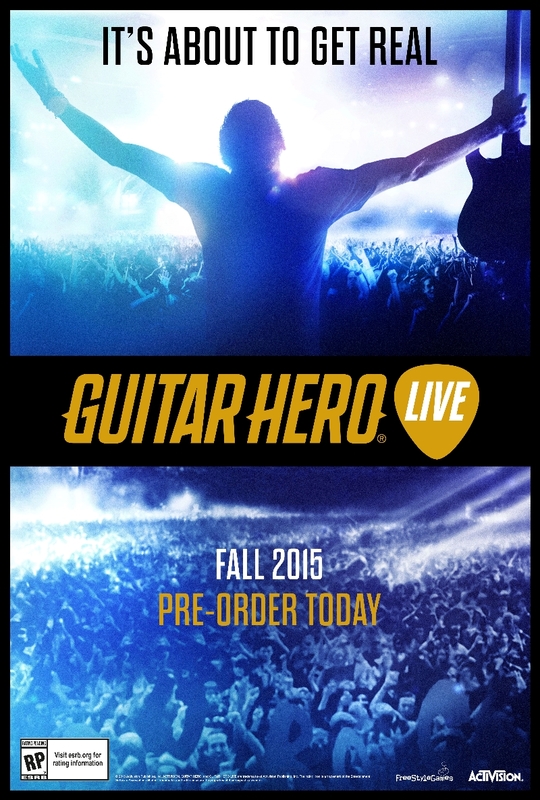 Guitar Hero Live Is Coming To Take Over The Planet This Fall - Are You Screening? 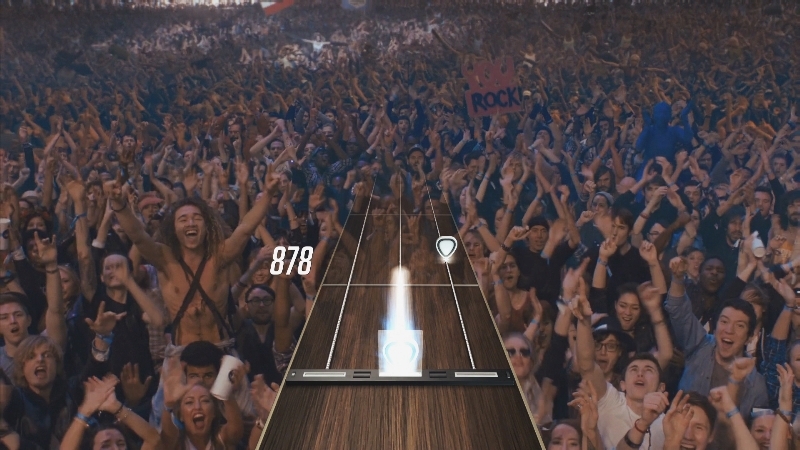 Activision has finally let us in on Guitar Hero Live, and it looks like an incredible update in theory, and graphics. It’s a whole new world this time around, and the game is a completely immersive experience, as a crowd of fans react as you play (see video above). The game aims to replicate the experience of playing some of the best guitars in the world, and if you want to play guitars like these yourself, you might want to check out a site like thesoundjunky, which has a list of some of the best guitars available on the market. 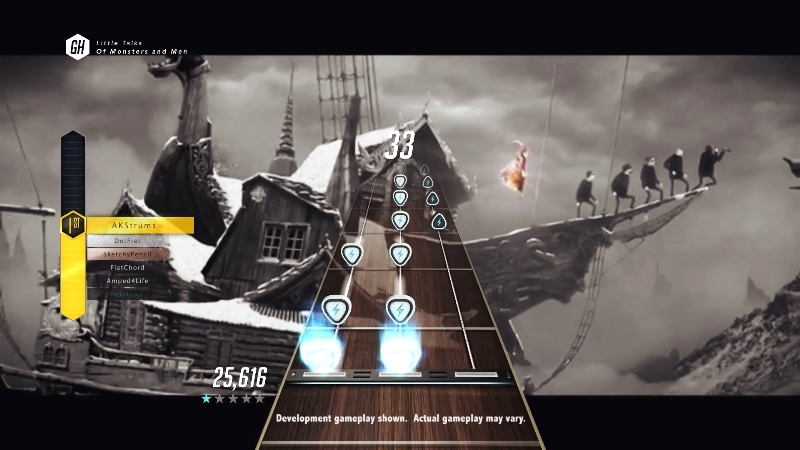 The game also has a completely new idea in a “controller,” as the guitar now has two rows of three buttons, and at higher levels has players using chord-like combinations. According to the games notes, this creates a gameplay experience that is both easier and harder. Check out all the info below, and get ready for this one. 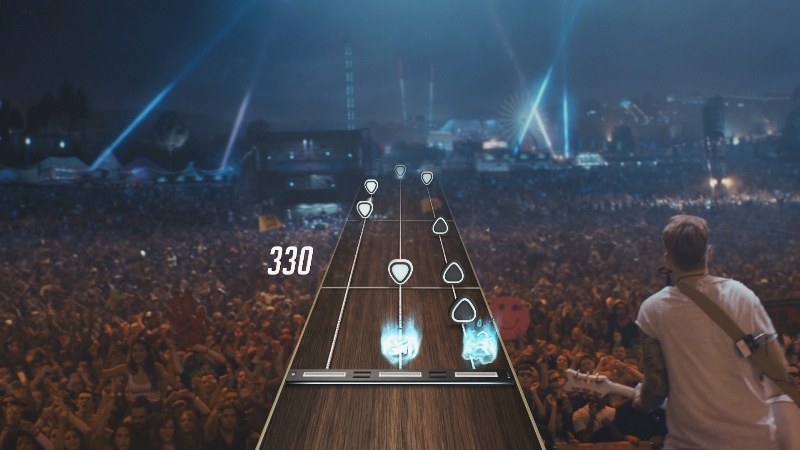 Guitar Hero, the pop culture phenomenon that exploded onto the scene and brought a new way to interact with music, is back, with true, breakthrough innovation that will re-ignite your dreams of becoming a rock star. Activision Publishing, Inc. , a wholly owned subsidiary of Activision Blizzard, Inc. (NASDAQ: ATVI ) today announced Guitar Hero Live, introducing a brand new generation to Guitar Hero, which upon its release became the quickest console franchise in video game history to reach one billion dollars in sales in North America and Europe, and was played by over 40 million players. 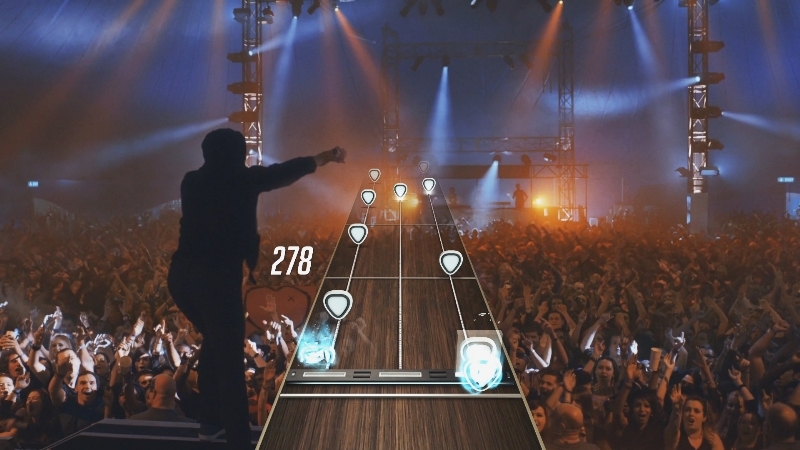 Developed by FreeStyleGames, the studio behind the critically-acclaimed DJ Hero and DJ Hero 2, Guitar Hero Live introduces two powerful ways to play, including GH Live, a first-person point of view where you are up on stage as the star of the show. A quantum leap forward in immersion and realism, GH Live is a live-action experience that delivers the full emotional roller coaster of being on stage and performing in a real band, in front of real crowds, who dynamically react in real-time to how well or poorly you play. As the lead guitarist, you play an array of songs that span the changing musical landscape, in a variety of venues, from the smallest club stage in front of a hundred people, to the massive main stage of an outdoor festival in front of a hundred thousand people . Guitar Hero Live also introduces GHTV, the world’s first playable live music video network. GHTV is a 24-hour mode that lets fans play along to a continually-updated collection of official music videos – across a wide variety of genres – from the newest releases to favorite hits. Fans can pick from multiple channels and themed shows, discovering new songs as they play, and can also choose songs to play on-demand. In GHTV, fans can also play with their friends in the same room and against players from around the world to see who has the highest score on a given song, while completing challenges along the way. GHTV is a living, breathing platform that serves as an ever-growing source for new music discovery while further bringing the party atmosphere back to the living room. 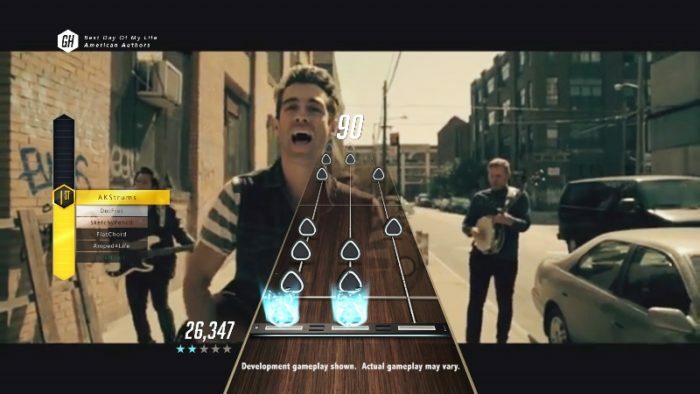 The breakthrough innovations in Guitar Hero Live also extend to mobile. Both GH Live and GHTV are fully playable both on consoles as well as tablets and mobile phones. More exciting details will be announced in the near future. Pete Wentz of Fall Out Boy and Gerard Way from My Chemical Romance are joining Activision CEO Eric Hirshberg and Jamie Jackson, Creative Director and Co-Head of FreeStyleGames, on-stage at the Best Buy Theatre on April 14th to showcase their songs featured in Guitar Hero Live and celebrate the reveal of the game. Guitar Hero Live will be available Fall 2015 on PlayStation®4 and PlayStation®3 computer entertainment systems, Xbox One, the all-in-one games and entertainment system, Xbox 360 games and entertainment system from Microsoft, the Wii U™ console and select mobile devices to be announced soon.